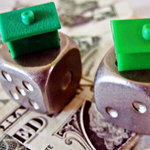 In the wake of the stalled Johnson-Crapo bill, the overarching goal of housing finance reform continues to be the efficient provision of long-term fixed-rate mortgages to credit-worthy borrowers in all markets throughout the business cycle.This Issue Brief analyzes three newly-proposed plans for reforming the U.S. housing finance system: (1) a proposal from Jim Parrot et al. to merge Fannie Mae and Freddie Mac into a new government corporation; (2) Andrew Davidson’s proposal for mutual ownership of the GSEs by mortgage originators; and (3) an opposing plan from Mark Calabria, arguing against securitization altogether and for a return to the regime of originate-and-hold. Wachter, Susan M. and McCoy, Patricia A., "A New Coalescence in the Housing Finance Reform Debate?" (2016). Penn Wharton Public Policy Initiative. 3.